This is a comparison shot of the new LEDs (right) and the original bulbs (left). The difference is like night and day! 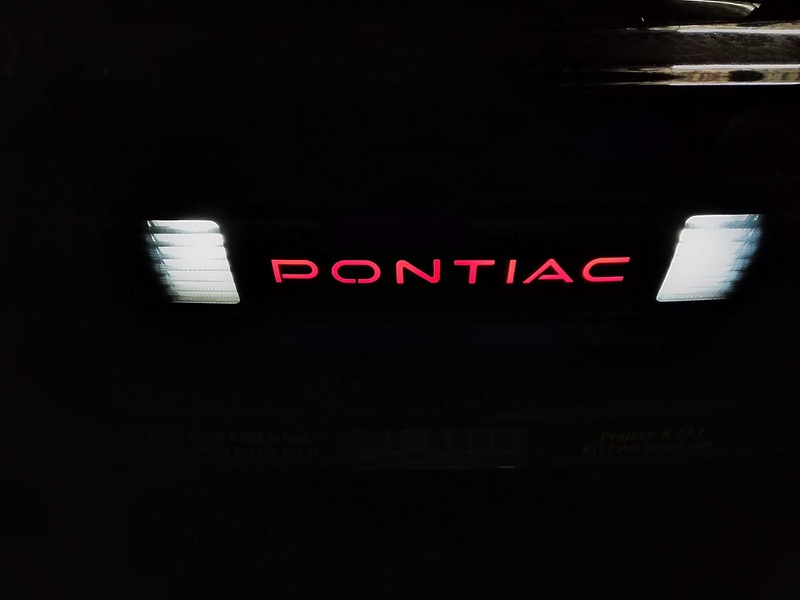 The reverse light is so much whiter and brighter that you can almost see your reflection in the black of the taillight housing. ;) The only thing that the picture does not do justice to is the red of the T I A C. The red LEDs are so much brighter that they appear orange in the picture. They are a very deep true red, much more so than the original bulbs made the letters look. 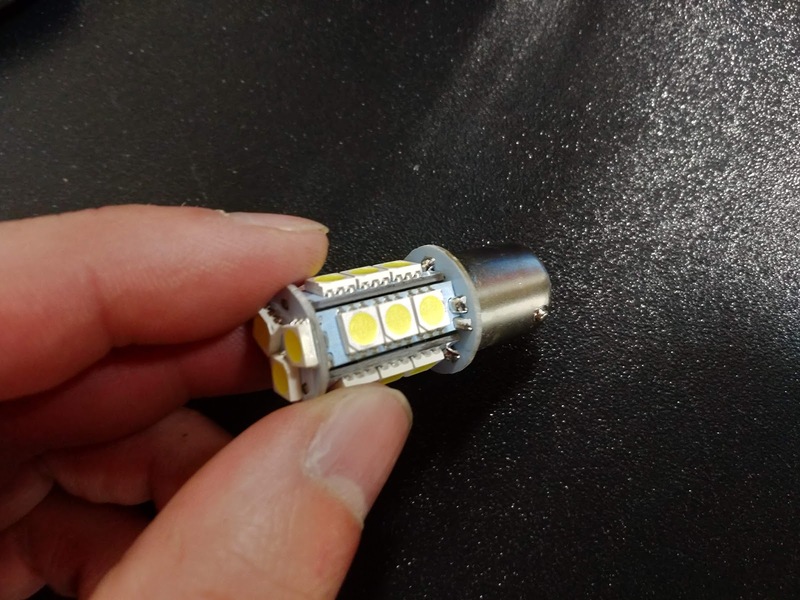 The reverse light LEDs were not long enough to fit into the socket and lock. The tapered part of the original bulb allowed it further into the socket so the side posts could lock into the socket. The round circuit board at the base of the LED fixture was what prevented it from fitting into the socket. 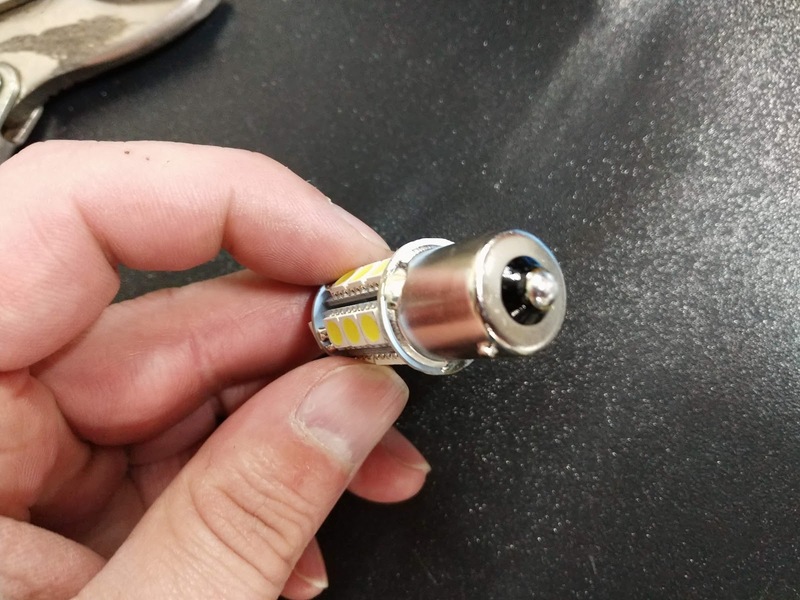 I have been told I think like MacGyver, so as not to disappoint, I started examining the LED fixture and decided I could safely grind down the round circuit board right up to the solder contacts that connected to the base. You can see in the picture below there is still a little lip, but now it fits easily into the socket. Here is a picture with all of the LEDs installed. I cannot believe how much brighter it is and how much more modern the lights look. 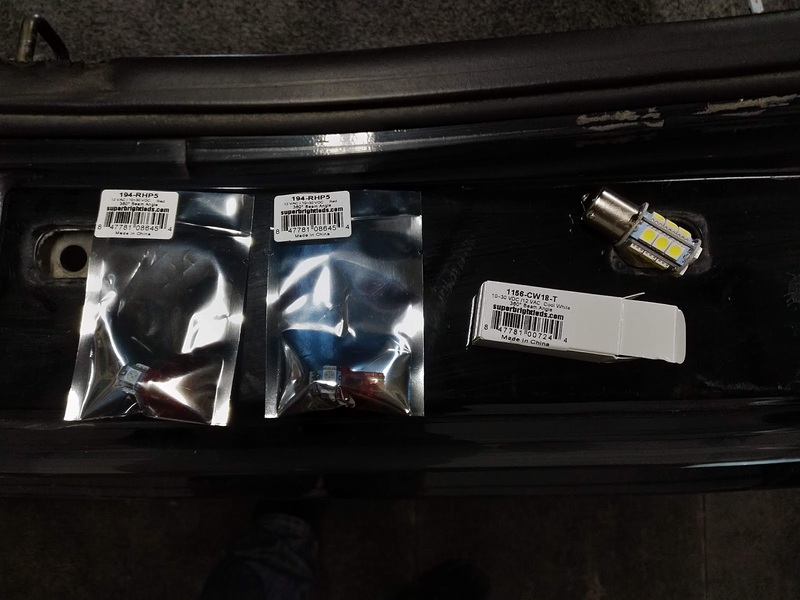 I am very impressed with the quality of the LEDs I ordered from SuperBrightLEDs.com. 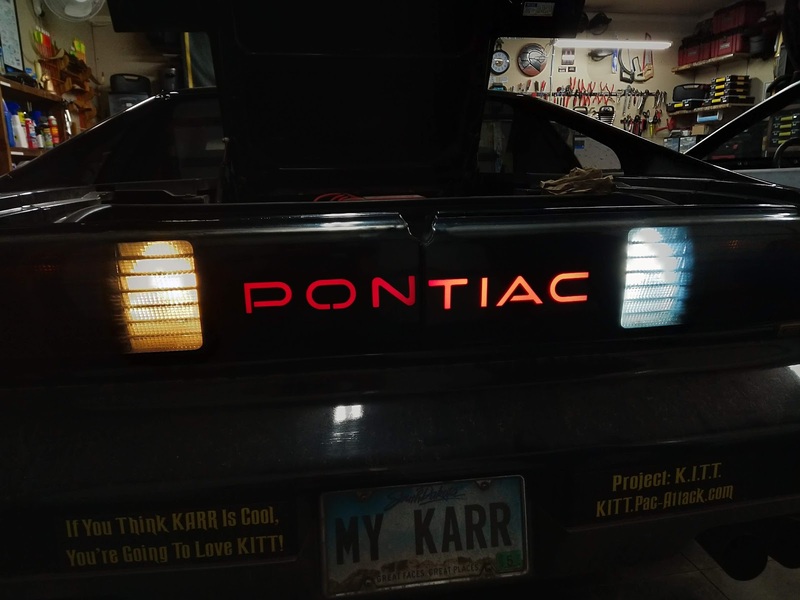 I will be upgrading the rest of the exterior lights to LED in the very near future.